In this video, Paul reaches for a selection of guitars to build on the drums and bass parts recorded in the first part of this series. The aim of this project is to record, mix and master the song using nothing but the new Apollo X range of audio interfaces and UAD-2 plug-ins. This is part 2 of 6 for Production Expert, with the support of Universal Audio, in which Paul and James continue the tracking process for a new song called “Thought Of Love” by Belgian band Rooftop Renegades. The track is in need of some layered guitar parts. In total, 8 different electric and acoustic guitar parts are to be recorded and Paul starts with a pair of rhythm electric guitar parts recorded through his Divided by 13 amp head and the Universal Audio Ox - The Amp Top Box. 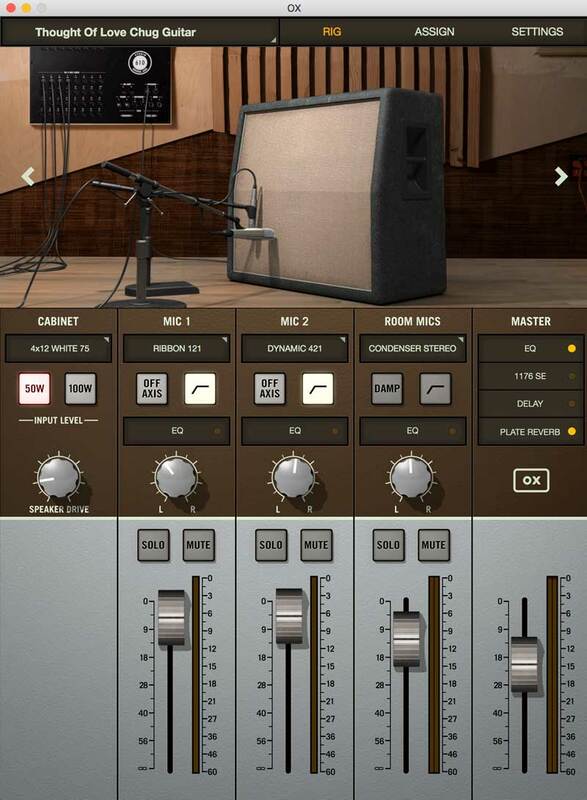 The Ox is an active load box which allows Paul to drive his amp to the sweet spot and record this magic tone through UA’s speaker, cabinet and microphone emulation software which is all housed inside the Ox. You can see the exact setting Paul used for the Lead and Rhythm tones below. Paul’s OX settings for one of the RHYTHM tones. Paul’s OX setting for the LEAD guitar tone. You can also check out our full review of the Universal Audio OX - The Amp Top Box below. Having had some really great experiences with the Soyuz Microphones SU-023 Bomblet microphone James suggests using this for the acoustic guitar tracks. Paul and James discus the routing for the single acoustic guitar mic and how it is to be processed. In this next part of this series we stay at Paul’s studio to record the lead and backing vocals. The band have flown in from Belgium for the session and Paul and James show you the setup for the recording including the microphones and UAD-2 processing used in the tracking process. Also if you haven’t watched Part 1 of this series you can find it here.